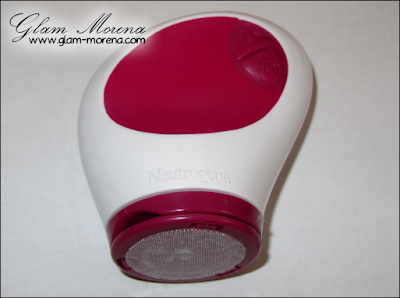 Glam Morena: Review: Neutrogena Wave Sonic Spinning Power-Cleanser. Review: Neutrogena Wave Sonic Spinning Power-Cleanser. One of the latest Neutrogena products I received was the Neutrogena Wave Sonic. Lately I've been really impressed with Neutrogena's skin care line. 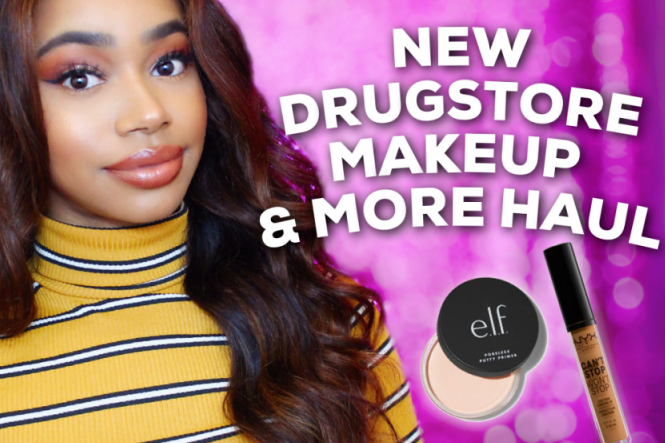 I was pretty excited to try and test this product out. I've been using it since it arrived in the mail and for over a month. * Removal of dirt and stubborn waterproof foundation vs. a leading cleanser. 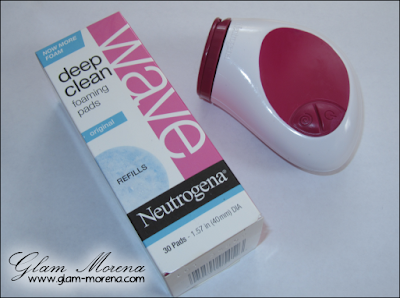 Overall thoughts: The Neutrogena Wave Sonic is extremely easy to use. All you have to do is insert the batteries, attach a pad, run it under water, and use it! I love that the process isn't complicated at all. It's also a lot more sanitary to use this than my hands. There are two speeds to choose from: daily cleansing and deep cleansing. 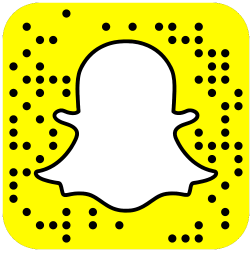 With one touch at the button you're able to switch between the two speeds. It's gentle against the skin and isn't rough to use for everyday. There are fourteen Wave Deep Clean Foaming Refill Pads included in the box. I did notice that they don't lather up instantly once water hits them. Sometimes I had to rub them to get them to start lathering up. The pads did the job and they weren't irritating or caused dryness to my skin. I also sometimes applied my own facial cleanser to the pads while washing my face. My cons for the Neutrogena Wave Sonic aren't horrible at all. You will have to repurchase pad fills. Luckily those are inexpensive and retail for $6.49. The refills come with 30 pads, which will last for about a month. Another con I had was having to repurchase batteries. You could purchase rechargeable batteries to fix this problem instead of having to repurchase batteries every time. The last con I had was not be able to get around the smaller areas of my face, like around my nose, mouth, eyes, and chin. For those areas I'm just going to have to scrub the normal way. If your're looking for something affordable to deep clean your skin and don't have too many major skin concerns then I think the Neutrogena Wave Sonic is worth checking out! Have you tried the Wave Sonic? Thoughts? Does it pulsate, or spin? I was thinking about giving this a try, I might have too check it out!